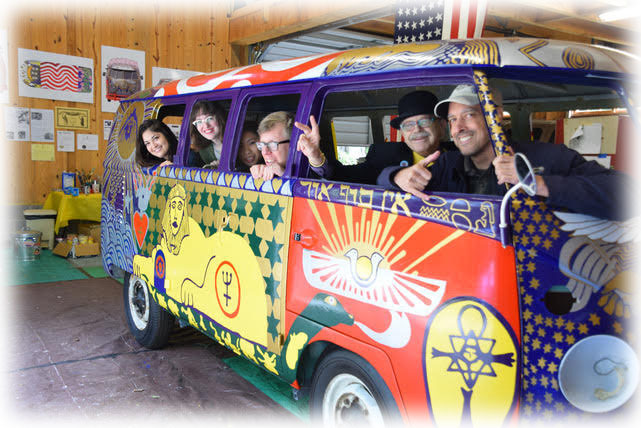 50 years earlier Dr. Bob painted an intricate all-over symbol-laden design on the VW bus belonging to his friend Robert Grimm, singer for the rock band Light. 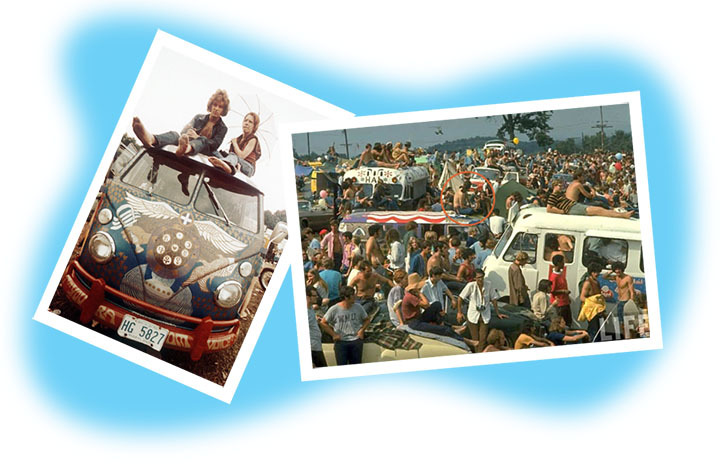 Grimm would soon take the Light bus up to the Woodstock Festival in 1969, where it was featured in an iconic Associated Press photo and became a symbol of a generation. 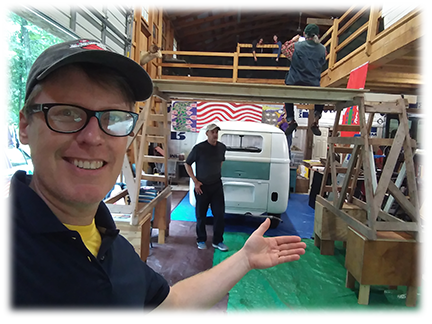 Our work began with clearing out and preparing a barn, creating a scaffold that would support two people to paint the roof of the bus. 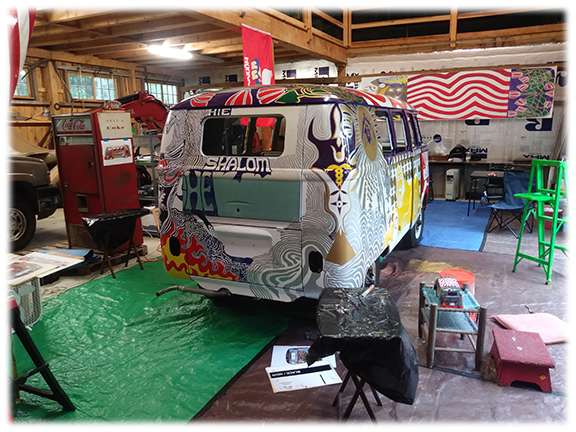 Soon after arrived our blank canvas: a nearly identical vintage 1962 VW Kombi. 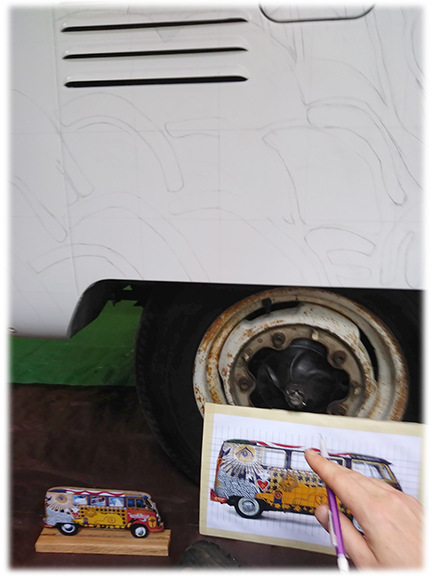 All the hard work and attention to detail paid off in the end. 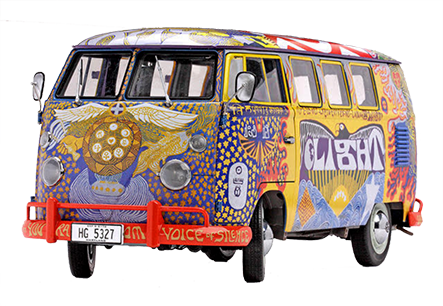 See B-roll of the project from Volkswagen. Yours truly gets a mention at the 3:33 mark.